Perfect for haze genetics lovers, very strong, resinous and aromatic. Only 8-9 weeks of flowering. 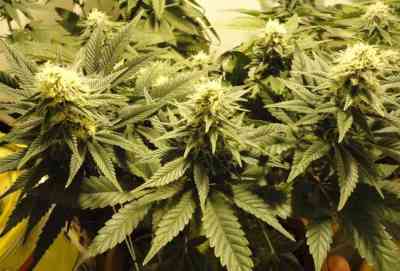 Shape: large central bud surrounded by strong lateral branches packed with vey resinous and dense buds . Highly vigorous, provided and robust. Effect: highly powerful, energetic and funny. 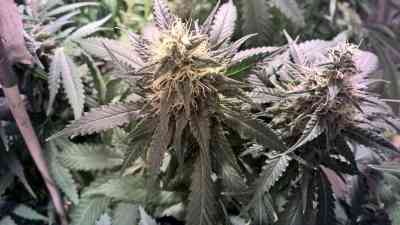 Also used as medical marihuana for relieve some pains and lift the mood. Smell: very intense, mix of lemon,mango and incense tones. Taste: fresh and intense, mix of incense, sweet and cítric (like lime) tones. End of flowering height: from 1,8 to 3 meters depending on sowing time. Minimum height to pass on to flowering: 25 cm. We recommend 9-12 x meter.